Kreis, Enderle, Hudgins, & Borsos, P.C. congratulates the Kalamazoo Central High School Mock Trial team, which won its twentieth Michigan High School Mock Trial State Championship. The State Finals occurred on Saturday, March 24, 2018, in Lansing. 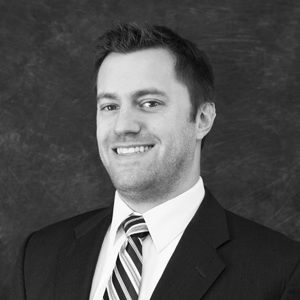 Our colleague, Nick Spigiel, was one of the attorney coaches on the team, along with lead coach Francis Bilancio. 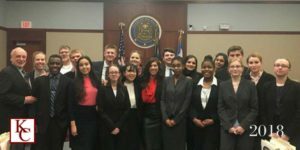 The Michigan High School Mock Trial Tournament is organized and conducted by the Michigan Center for Civic Education (MCCE). The MCCE designed the program to reenact much of what might take place in trial courts. High school students take on the roles of attorneys and witnesses and compete against other schools in courtrooms in front of real judges and lawyers. But while the students take on roles, there is no set script. As in a debate, participants must adjust to the strategies employed by the opposing side. At this year’s finals, Kalamazoo Central began its morning by defeating Ann Arbor Community High School, Trenton High School, Richmond High School, and top-seeded Cardinal Mooney High School. Later that day, one Kalamazoo Central team competed in the Blue Ribbon Final Championship Round against the University of Detroit Jesuit High School, where it edged out the University of Detroit and secured its twentieth state championship win. Kalamazoo Central’s championship team will represent the State of Michigan at the National High School Mock Trial Championship in Reno, Nevada, on May 10-12, 2018. No other school team in the United States has advanced to the national championships more times than Kalamazoo Central High School.